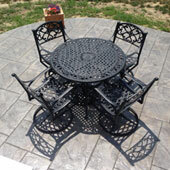 Concrete patios also have an advantage when it comes to durability and low maintenance over wood and paver systems. In some cases we may be able to repair concrete and or replace your walkways and sidewalks for large or small project. 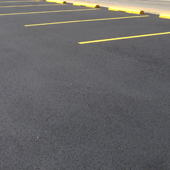 Looking for parking lot ideas or considering a new asphalt parking lot? Cipolloni also does asphalt parking lots and driveways. We focus our attention on providing the highest customer satisfaction. We are experts in providing high quality service no matter the size or type of concrete project. 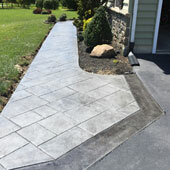 Stamped concrete involves pouring slab concrete for driveways, walkways, patios, etc., and then impressing both patterns and textures onto the concrete before it is fully dry. 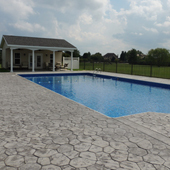 For many years, a lesser form of stamped concrete was often seen that merely duplicated patterns. But the latest types of stamped concrete impart textures that duplicate many different surfaces such as cobblestones, brick, pavers, wood, and more. Also, pigment is added to stamped concrete to further duplicate the look of such patterns. Cipolloni Concrete offers a wide spectrum of concrete services for commercial construction including production homes, multi-family home, parking lots, marinas and concrete floors. No matter the size of the project, we work with our customers, taking exceptional care to ensure the finished product is done right the first time and exceeds the customer’s expectations. A Family Owned And Operated Company For Over 20 Years. Cipolloni Concrete, where the Art of Decorative Concrete is affordable for all. We take pride in our reputation for our quality of work and customer service. Our specialty is decorative concrete designs and installation to make a custom unique design at an affordable price. We welcome any opportunity to meet with a potential client and give them a FREE estimate on their project. We are a BBB Accredited Business since 2007. The BBB has determined that Cipolloni Concrete, LLC meets BBB accreditation standards, which includes a commitment to make a good faith effort to resolve any consumer complaints. 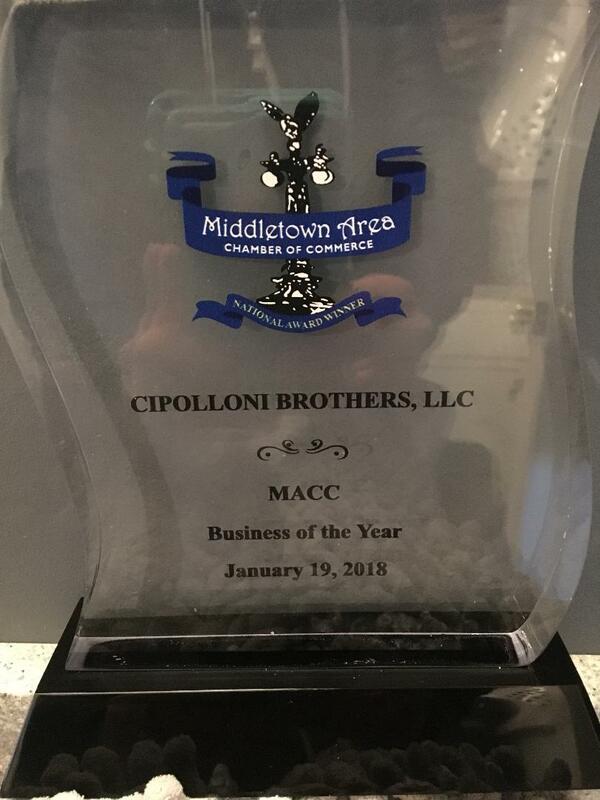 These very values have earned us the Middletown Chamber of Commerce 2017 Business of the Year Award. "1-302-449-0960 these numbers will make your budget work".